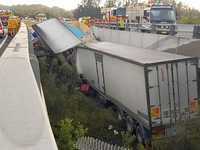 THE tragic death of a truck driver on the Pacific Highway, south of Coffs Harbour this week, has raised concerns over the pressures interstate long-haul drivers face on a daily basis in transporting their loads. Even though the Australian transport industry and state trucking laws ensure some of the safest working conditions for drivers in the world - not to mention thorough policing of log books and rest stops - readers have asked whether truckies are being pushed to the brink of fatigue by their delivery deadlines. 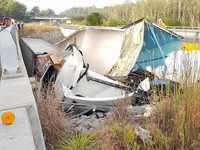 In this latest tragedy, the b-double left the highway about 100 metres north of the Shortcut Rd overpass, and careered into an embankment situated between two highway bridges at Raleigh on Wednesday just before 6am. 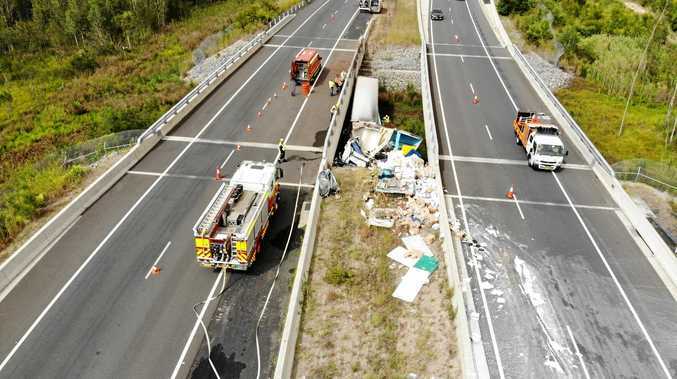 Fatal truck crash at Raleigh: A 38-year-old Queensland man was killed in a b-double crash at Raleigh today. The deceased driver, was later confirmed by Coffs Clarence Police Inspector Peter Hayes to be a 38-year-old Queensland man. "It appears the heavy vehicle was travelling in a north direction when it left the dual carriageway and moved onto the south bound lanes before attempting to re-correct and has collided heavily with the embankment in the centre of the roadway," Inspt Hayes said. 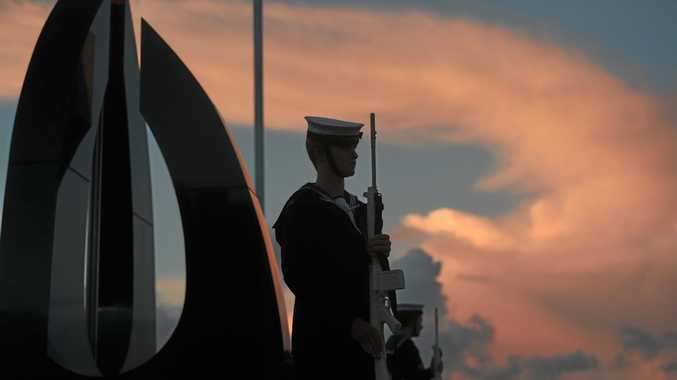 "It was absolutely horrendous. 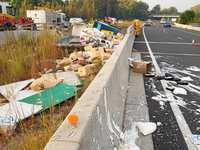 All emergency services were affected by what they saw here today," he said. It is understood crash scene investigators were determining whether fatigue was a factor in the crash. As sympathy messages were shared by Coffs Coast Advocate readers, comments and questions were also made about the demands on truck drivers. The National Transport Commission's Standard Hours policy states truck drivers must take a minimum 15-minute rest break, within the first five hours, 15 minutes of work. "Why do truck drivers push on when fatigued? Pull over and rest, then carry on. If the boss isn't happy about your safety, then time to change employers. "Happening more now then ever because the roads are too straight and flash and trucks only being speed limited to 100kmh on these straight flat roads puts them to sleep." "The companies need to be held accountable for ridiculous time frames." "A friend of mine was just sacked because he took his seven-hour break." "I use to work for a company where the owner stood at the top of the stairs yelling at drivers. If you don't drive your sacked and I'll replace you." "Get with the times. No one gets sacked for taking a break." "Most companies are all the same. They are to blame not the victims who are for just trying to feed their children." "To the family. My condolences." "Should be two drivers at all times, can't put a price on someone's life. It would be safer for everyone to have two drivers." "As the wife of a b-double driver, this is my recurring nightmare."